Legendary investors such as Leon Cooperman and Seth Klarman earn enormous amounts of money for themselves and their investors by doing in-depth research on small-cap stocks that big brokerage houses don’t publish. Small cap stocks -especially when they are screened well- can generate substantial outperformance versus a boring index fund. That’s why we analyze the activity of those elite funds in these small-cap stocks. In the following paragraphs, we analyze Etsy, Inc. (NASDAQ:ETSY) from the perspective of those elite funds. Etsy, Inc. (NASDAQ:ETSY) has seen an increase in hedge fund sentiment in recent months. ETSY was in 32 hedge funds’ portfolios from our database at the end of September, up from 30 hedge funds long the stock at the end of the previous quarter. Even though the company is steadily building its net of long investors, it has not attracted much attention from the wealthy elite (to see which stocks did, take a look at the list of 30 stocks billionaires are crazy about: Insider Monkey billionaire stock index). This data is far from enough for us to form the opinion on the stock, therefore we’ll continue to examine it. At the moment there are tons of indicators investors put to use to analyze stocks. Some of the most underrated indicators are hedge fund and insider trading signals. Our researchers have shown that, historically, those who follow the best picks of the elite fund managers can trounce the market by a superb margin (see the details here). Continuing with our analysis of the stock, we’re going to take a gander at the recent hedge fund action encompassing Etsy, Inc. (NASDAQ:ETSY). What does the smart money think about Etsy, Inc. (NASDAQ:ETSY)? At the end of the third quarter, a total of 32 of the hedge funds tracked by Insider Monkey were long this stock, a change of 7% from the previous quarter. 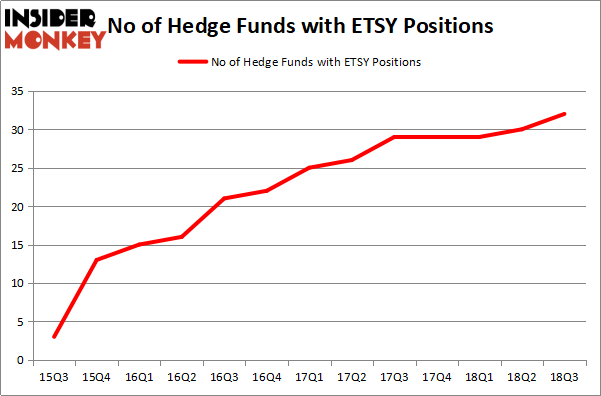 On the other hand, there were a total of 29 hedge funds with a bullish position in ETSY at the beginning of this year. So, let’s review which hedge funds were among the top holders of the stock and which hedge funds were making big moves. According to Insider Monkey’s hedge fund database, Jim Simons’s Renaissance Technologies has the biggest position in Etsy, Inc. (NASDAQ:ETSY), worth close to $359.5 million, comprising 0.4% of its total 13F portfolio. On Renaissance Technologies’s heels is D E Shaw, managed by D. E. Shaw, which holds a $138.3 million position; 0.2% of its 13F portfolio is allocated to the stock. 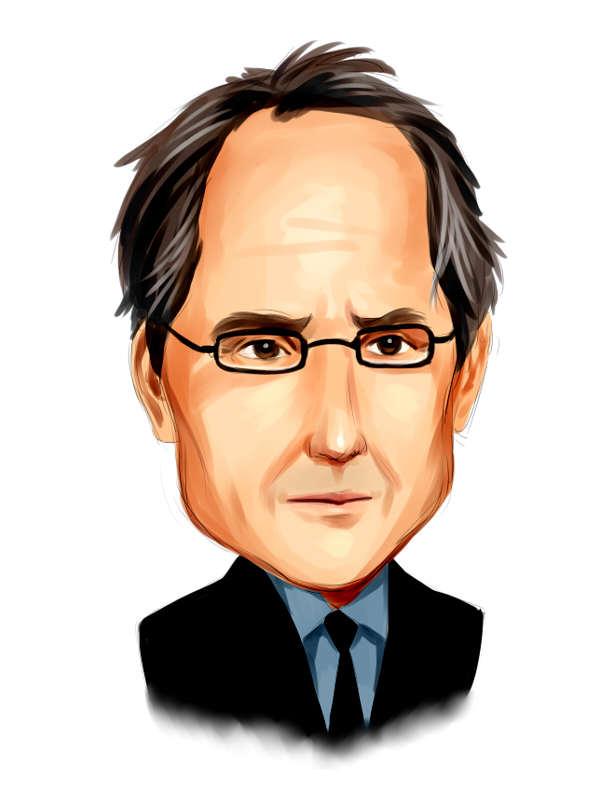 Other peers that are bullish encompass John Overdeck and David Siegel’s Two Sigma Advisors, James Crichton’s Hitchwood Capital Management and Edward Goodnow’s Goodnow Investment Group. Consequently, some big names were leading the bulls’ herd. ThornTree Capital Partners, managed by Mark Moore, created the most outsized position in Etsy, Inc. (NASDAQ:ETSY). ThornTree Capital Partners had $16 million invested in the company at the end of the quarter. Marcelo Desio’s Lucha Capital Management also initiated a $10.8 million position during the quarter. The other funds with new positions in the stock are Seymour Sy Kaufman and Michael Stark’s Crosslink Capital, James Dondero’s Highland Capital Management, and Robert B. Gillam’s McKinley Capital Management. Let’s check out hedge fund activity in other stocks similar to Etsy, Inc. (NASDAQ:ETSY). These stocks are Grupo Aeroportuario del Sureste, S. A. B. de C. V. (NYSE:ASR), Knight-Swift Transportation Holdings Inc. (NYSE:KNX), Pure Storage, Inc. (NYSE:PSTG), and BlackBerry Limited (NYSE:BB). All of these stocks’ market caps resemble ETSY’s market cap. As you can see these stocks had an average of 21 hedge funds with bullish positions and the average amount invested in these stocks was $507 million. That figure was $925 million in ETSY’s case. Knight-Swift Transportation Holdings Inc. (NYSE:KNX) is the most popular stock in this table. On the other hand Grupo Aeroportuario del Sureste, S. A. B. de C. V. (NYSE:ASR) is the least popular one with only 3 bullish hedge fund positions. Compared to these stocks Etsy, Inc. (NASDAQ:ETSY) is more popular among hedge funds. Considering that hedge funds are fond of this stock in relation to its market cap peers, it may be a good idea to analyze it in detail and potentially include it in your portfolio.